Are you licking your computer screen or your phone right now? Are you ready to make the easiest, cheapest most crowd pleasing appetizer, ever? Are you ready to never again pay three times as much as you need to at the grocery store for Pico de Gallo? Okay. I'll stop with the infomercial bit. In all seriousness, this is another one of those things that after I made it, I was like, "that's it?" So, I share it with you. Just in case you've also been paying $3.00-$4.00 for a little container of this stuff. You don't need to do that. You don't think you have the time, but you do. All you have to do is chop vegetables and squeeze a lime. It takes 5 minutes. 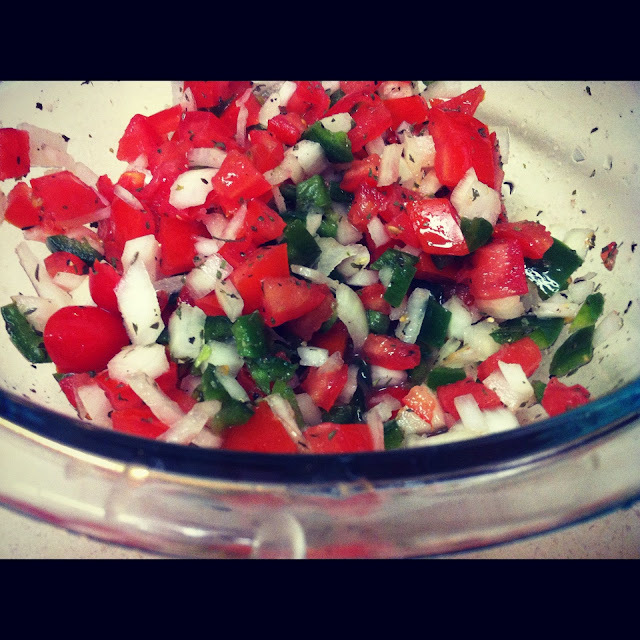 Sprinkle some Crazy Mixed Up Salt and Cilantro in the bottom of a bowl. 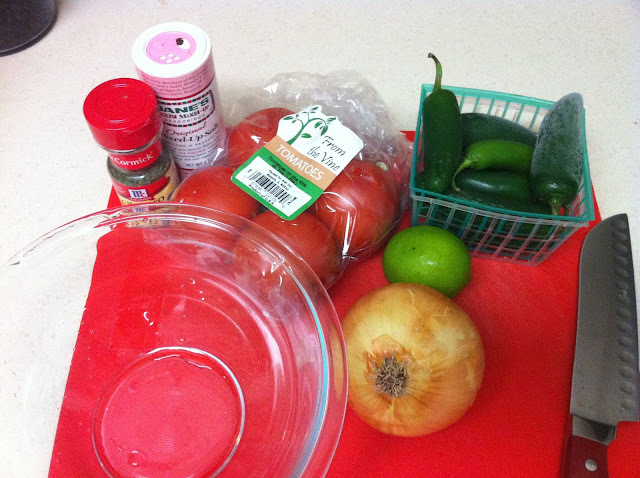 Wash, seed and chop up your tomatoes and jalapenos. Mix the veggies up in the bowl. Add more Crazy Salt and Cilantro. Drizzle with the juice of one lime. There are all kinds of variations you can build from here. Yum!